Listen to this pageThere is one summary for H.R.38. Bill summaries are authored by CRS. Additionally, the bill allows a qualified individual to carry or possess a concealed handgun in a school zone and in federally owned lands that are open to the public. 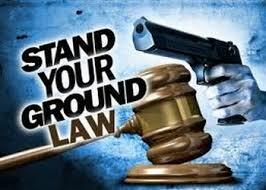 The download file has just been updated with the latest websites, castle doctrine and stand your ground states, but the individual pages below have not been updated yet this year. Working on that now. If you are traveling from state to state and carrying, you need to know the situation in each state you are entering or you could get into trouble. For certain states or if you have any doubt at all, keeping moving through the state (reference the McClure-Volkmer Act to only stop for gas and emergencies) towards your final destination state. Your destination state must have acceptable laws for your stay. We make some generalities with our color map here for ease of use so you should always look up the current details of the laws. Handgun laws are where it usually varies the most. This is a controversial issue but which ever side you are on, it is better to have informed people out there. The green shaded states are mostly friendly to firearms, while the red shaded states are either not-friendly or have some serious restrictions you need to know about before crossing the state line. You can also download an easy to print new 2013 version with all states and details. Is your RV a vehicle or a residence? Here are our individual state breakdowns. We will update these pages once in a while but please check the laws at the time of your trip to be safe. “The most effective way to prevent firearm-related injury to children is to keep guns out of homes and communities. The American Academy of Pediatrics strongly supports gun-control legislation. We believe that handguns, deadly air guns and assault weapons should be banned. Those are their words. It is a telling expression of their real agenda. Their phrases and use of words such as “gun safety” and “keeping children safe” are designed to feign a lofty message — but the fact remains that those words are merely political eye wash in an attempt to justify their agenda. Physicians who genuinely wish to offer safety information can simply hand out firearms safety and safe-storage brochures to all patients. Interrogating parents and children about what they own or have in the home is not only an intrusion but is a violation of privacy rights. Parents do not take their children to physicians for a political lecture against the ownership of firearms; they go there for medical care. Physicians should “first do no harm” and keep their political opinions out of examining rooms and on the golf course where it belongs. Marion P. Hammer is past president of the National Rifle Association and is executive director of Unified Sportsmen of Florida. Contact her at MPHammer1@aol.com. Florida Gov. Rick Scott has signed a school safety bill passed by the Legislature in response to the Valentine's Day mass shooting that killed 17 people at a high school. Founder, US Concealed Carry, Inc.
To help lawful gun owners avoid having to deal with many different laws when they travel with guns, Congress passed the Firearms Owner Protection Act of 1986 (FOPA). Under that law, you cannot be convicted of a firearms offense in a state that has strict gun control laws if you are just passing through on your way to and from places where your firearms are legal. Your ammunition is not accessible to you or to anyone else in the vehicle. This means you should unload the gun, place it inside a locked container, and put the container in the trunk of your car. Your ammunition should be treated the same way, but in a separate container. If your vehicle does not have a trunk, you should put the locked container out of sight and as far away from the passenger areas as you can. It is not legal to store the gun in the console or glove box. Unfortunately, some states require more caution than others. 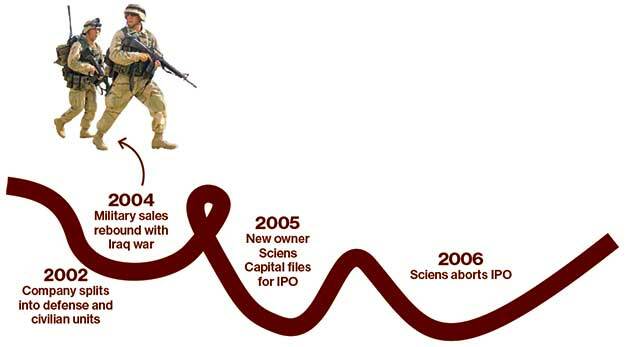 New York and New Jersey are infamous among gun people for their regular and long-standing practice of making felony arrests of gun owners whom police find transporting guns in good faith and in accordance with FOPA. Rather than honor FOPA, they knowingly and deliberately arrest the gun owners on felony and force them to go to trial to claim FOPA as an affirmative defense after the fact. Some New York and New Jersey judges and prosecutors follow the federal law, but many do not, and many otherwise honest and law-abiding gun owners permanently lose their gun rights following the felony conviction. The best course of action for gun owners is to entirely avoid New York (city and state) and New Jersey when traveling with guns. Concealed carry permits are not recognized everywhere. The federal government and all states have places where they do not allow any firearms, much less concealed ones, regardless of the permits you have. The places off-limits usually include, but are not limited to, the sterile area of airports, courtrooms, jails, police stations, and school zones. Every jurisdiction has its own rules. Unlike a driver’s license, states are not required to honor concealed carry permits issued by other states (although some states do have reciprocal agreements with some states that have similar laws). Because of this, and because the off-limits areas differ from one place to another, you will need to be prudent when traveling outside your home territory. The July 2011 issue of Concealed Carry Magazine ran an article that went into the subject of traveling armed in some depth. An internet resource that includes thorough coverage of state laws governing concealed carry for all 50 states and the District of Columbia is handgunlaw.us, at the website of the same name. Thanks to the dramatic increase in the number of concealed carry permits over the past 25 years and rising public demand, as mentioned above, many states have established reciprocity procedures allowing carry permits issued by one state to be honored in some other states. For example, 20 other states will honor a concealed firearm permit issued in Nevada. Nevada itself will honor both resident and non-resident carry permits issued by 12 other states. The list of which states honor permits from other states (and which state’s permits they will honor) is constantly changing. Before you travel outside your own state, you should always check to see if your carry permit is valid where you are going. You should also brush up on the rules of carry in that jurisdiction. Once again, there is a great reciprocity tool inside the USCCA member’s area. It is a powerful tool for you to use, and is always available to reference prior to traveling across any state lines. Tim Schmidt is the founder and CEO of the United States Concealed Carry Association and its sister organization the Home Defense Association of America (HDAA). 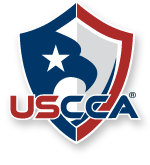 The USCCA is “The Ultimate Resource for the Armed Citizen” and has over 65,000 active members. He is also the founder and publisher of Concealed Carry Magazine, a national magazine dedicated to the responsibly armed citizen. Tim is an avid shooter, loves to ride big, black motorcycles and holds a black belt in Tae Kwon do. He lives in South-Eastern Wisconsin with his wife of 18 years and three young children. Leftist don’t usually embrace federalism, unless of course it suits their purpose.One place that federalism suits them is in the area of gun control. Because many states don’t seem to recognize the inviolability of the 2nd Amendment and instead treat our right to keep and bear firearms as a suggestion, it’s important that gun owners be careful when crossing state lines with their firearms. It’s even more important that we take great care when doing our traveling by aircraft, because airports get mighty ornery when travelers are packing heat. Every state has a different set of rules, and while TSA handles “security” at airports across the nation, there are sometimes differences in the way airports handle their procedures. Thankfully, the folks at Gun World recently put together a concise (but thorough) piece detailing the best way to travel when you need to bring your firearm with you. First, TSA regulations state that all firearms should be unloaded and locked in a hard-sided case as checked baggage. You must take the unloaded firearm in the case directly to the ticket counter and explain that you are carrying a firearm. You will have to sign and date a declaration verifying that the firearm is unloaded. Ammo must also be checked, and I have never had any issues carrying ammunition in the original manufacturer’s box (although some prefer reload boxes). Ammo can be stored in the same hard-sided container as the firearm, but mags should remain unloaded. Most airlines limit your ammunition to 5 kilograms, which equates to 11 pounds; that’s plenty for even a lengthy safari. However, if you’re going to a shooting school at which you’ll burn a lot of ammo, you probably won’t be able to fl y with as much as you’d like. Likewise, if you’re a muzzleloader, you won’t be able to fly with powder and powder pellets. But for most hunters and shooters, flying with a firearm isn’t an issue. I hear horror stories, but I generally fly out of Cincinnati, where the airport staff is courteous and familiar with the procedures for firearms handling. Of course, you can get yourself into trouble. Take the time to empty magazines, and get the loose ammo out of coat pockets before you fl y. I know it’s easy to accidentally forget a single .223 round that you dumped in your pocket on a coyote hunt, but it’s worth taking the time to check your stuff before you head to the airport. Don’t forget, you’ll want to find a well-made hard case carrier to protect your firearm and even then you’ll want to find a way to make the interior as secure as possible. Read the rest of the advice on traveling with your gun(s) at Gun World.com. CBS Miami's Marybel Rodriguez reports. In ruling the law unconstitutional, Miami-Dade Circuit Judge Milton Hirsch said the changes should have been crafted by the Florida Supreme Court instead of the Legislature. The 14-page order is a victory for prosecutors who have firmly opposed the law. Critics have said the law makes it easier for defendants to get away with murder and other violent crimes. The controversial law has long been criticized for fostering a shoot-first mentality, which eliminated a citizen's duty to retreat before using deadly force in responding to an apparent threat. Prosecutors said the law made it easier for judges to dismiss criminal charges if they believe someone acted in self-defense. Now, the new law requires prosecutors to shoulder the burden of disproving a self-defense claim. State attorneys have said that essentially forces them to unfairly try a case twice, making it easier for criminals to escape justice. Under the law, prosecutors must prove by “clear and convincing” evidence that someone wasn't acting in self-defense. The judge's ruling likely will lead to legal wrangling in the appellate courts and the Florida Supreme Court. Kylie Mason, a spokeswoman for Attorney General Pam Bondi, said Bondi would appeal the order. Scott spokesman John Tupps also said the governor's office is reviewing the judge's ruling. From 1929 to 1953, about 20 million dissidents, unable to defend themselves were rounded up and exterminated. From 1915 to 1917, 1.5 million Armenians, unable to defend themselves,were rounded up and exterminated. to defend themselves were rounded up and exterminated. From 1948 to 1952, 20 million political dissidents, unable to defend themselves,were rounded up and exterminated. From 1964 to 1981, 100,000 Mayan Indians, unable to defend themselves,were rounded up and exterminated. From 1971 to 1979, 300,000 Christians, unable to defend themselves,were rounded up and exterminated. ANY CIVILIZED COUNTRY IN THE WORLD!!! TAX DOLLARS IN AN EFFORT TO MAKE ALL LAW-ABIDING CITIZENS AN EASY TARGET. If you are too, please forward this. If you're not a believer, please reconsider the true facts. This is history; not the BS that's being shown on TV, sanctioned by our illustrious delusional leaders in Washington. Licenses to Carry Concealed Weapons or Firearms: Deletes provision prohibiting concealed carry licensees from openly carrying handgun or carrying concealed weapon or firearm into college or university facility.